Olive Kavanagh is a Senior Global Travel Manager and Institute of Travel Management Board Director with extensive travel category management experience including on program strategy, cost efficacy, strategic stakeholder partnerships, change management, travel operations and RFP/contracting across multiple cultures and countries. She has 16 years of experience in corporate travel and was hired by Kerry Group to develop a strategy to globalize the travel program, ensuring that the right processes, tools, suppliers and contracts are in place. In her role at Kerry Group, Kavanagh is responsible for the development and deployment of a global travel category transformation. Currently Global Travel Ninja at Snap Inc., Sean Parham has more than 29 years of experience in the travel industry. He was instrumental in the development and management of travel programs for St. Jude Children’s Research Hospital, Guess Inc., Hilton Worldwide and Riot Games prior to Snap. Currently, Parham leads the travel program in 15 countries for the parent company of Snapchat, Snap Inc., in Los Angeles. He is an advocate for change and improvement by embracing technology and forward thinking, but always keeping traveler safety and satisfaction at the forefront of his approach, followed by compliance and savings. Areas of expertise include travel, meetings, corporate card, fleet, and duty of care. 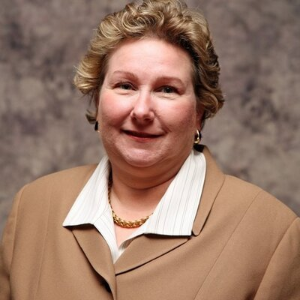 Kathy Kent in early 2019 joined GoldSpring Consulting as a Senior Consultant and lead of its SpringBoard Implementation service line that works with travel buyers on travel management company, online booking tool and other implementations, configurations and expansion initiatives. Kent has more than 35 years of experience in corporate travel, primarily in operational senior management roles with Carlson Wagonlit Travel. For the past 15 years, she led the global implementation and client service configuration teams, where she ensured the successful implementation and operational design of CWT’s global and multi-national clients, implementing over $10B in volume in 100 plus countries.